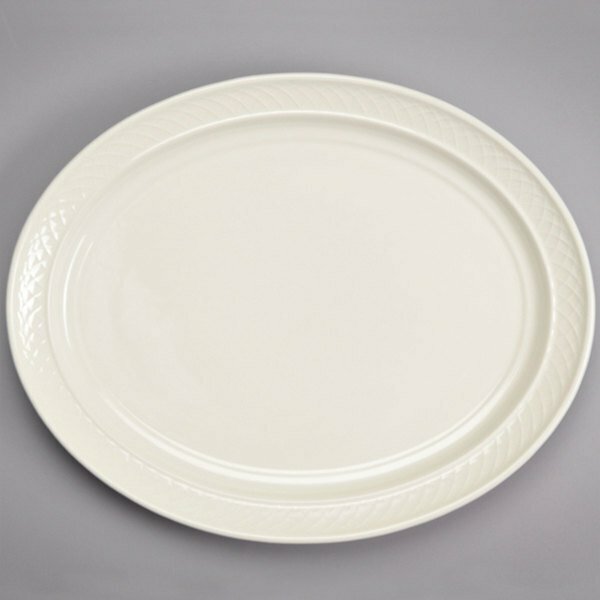 For an elegant backdrop to your most popular culinary creations, serve all of your appetizers and entrees on this Homer Laughlin 7000-0353 Undecorated Gothic 13" oval platter. Designed with intricate lattice sculpting encompassing the entire rim, it's perfect for use in fine dining at hotels, restaurants, or catered events. Inspired by Medieval European cathedral architecture, Homer Laughlin's Gothic line incorporates lattice sculpturing across their entire line to create a complete and coordinated tabletop presentation to enhance your guests' fine dining experience. With its subtle yet sophisticated design and mirror-like finish, it is sure to intensify your food presentation as well. 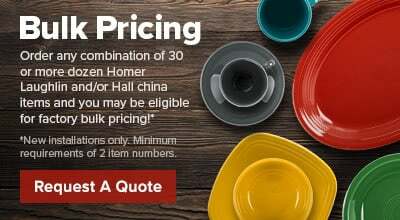 This platter is highly durable, abrasion-resistant, and has superior heat retention to provide quality serving for your fine dining establishment.